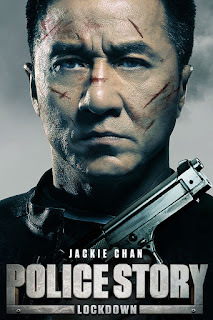 Film-Arcade.net: Enter to Win One of Two Blu-Ray Copies of "Police Story: Lockdown"
Enter to Win One of Two Blu-Ray Copies of "Police Story: Lockdown"
Want to win a copy. You can send an email to facontest@gmail.com. Please include "Lockdown" in the subject line. Contest ends on August 17th. Police Captain Zhong Wen (Jackie Chan) knows all about sacrifice. He’s always been too busy chasing bad guys to be a father to his daughter Miao (Jing Tian). Tonight, he’s seeing her for the first time in years – and meeting her fiancé, club owner Wu Jiang (Liu Ye). But Wu knows Zhong. And his plans for the evening include taking Miao, Zhong, and the entire club hostage. Zhong knows about sacrifice. What will he give up to save his daughter?